Welcome in 2020 with Perkiomen Tours at the beach in Myrtle Beach, South Carolina. Explore the Low Country's unique history, enjoy some shows, spend time on the beach and ring in the New Year with dinner, music and dancing! Today we travel to Fayetteville, North Carolina, the location of our lodging for this evening. Dinner will be on your own tonight. This morning, after breakfast, we check-out and depart for Georgetown, SC. Here we will tour Hopsewee Plantation, one of the oldest historic preservations open to the public in the United States. Hopsewee has been preserved since its construction between 1735 and 1740 and has remained essentially the same for almost three centuries. After a tour of the Plantation home, we will enjoy a lunch at the River Oak Tearoom at Hopsewee, offering great Lowcountry favorites! 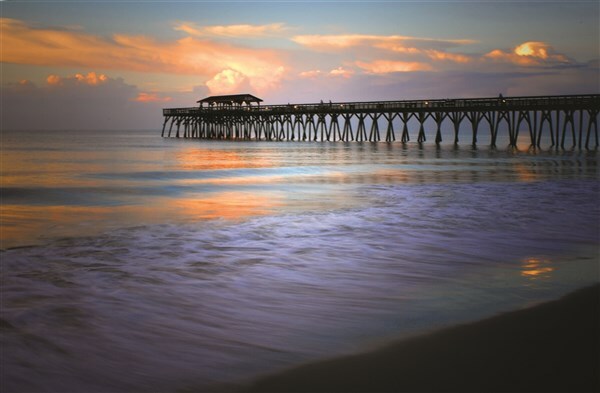 We will then travel to Myrtle Beach, the location of our lodging for the next three nights. After checking-in to the Beach Cove Resort, we will enjoy dinner at a local restaurant followed by the Legends in Concert Show. After breakfast you are free to enjoy the morning at your leisure. Later we will depart for Barefoot Landing, a most unique and popular shopping, dining and entertainment destination. Set along the Intracoastal Waterway and featuring a 27-acre lake, Barefoot Landing combines scenery with an outstanding selection of dining and shopping venues. Immerse yourself in the atmosphere of a quaint Southern shopping village. This afternoon we will celebrate the holiday in Myrtle Beach with a matinee at the Alabama Theatre. This year's Christmas extravaganza brings an incredible combination of talent, scenery and special effects to the Grand Strand to produce a spectacular holiday musical experience sure to put you in the season's spirit! Later, we will return to the hotel for some free time to rest and relax before our big New Year's Eve party at the hotel. Say goodbye to 2019 and ring in 2020 with dinner, music, dancing, party favors and a champagne toast. After breakfast spend the morning relaxing. Later we will head to Broadway at the Beach where we will enjoy a visit to Ripley's Aquarium for Holiday Tea during their Festival of Trees, the largest tree display in South Carolina. Here we will also enjoy high tea! Dinner tonight will be included at a local restaurant followed by a show at the Carolina Opry. This morning, after breakfast, we will depart for home. With stops for rest and meals enroute, arrival home is scheduled for later this evening.